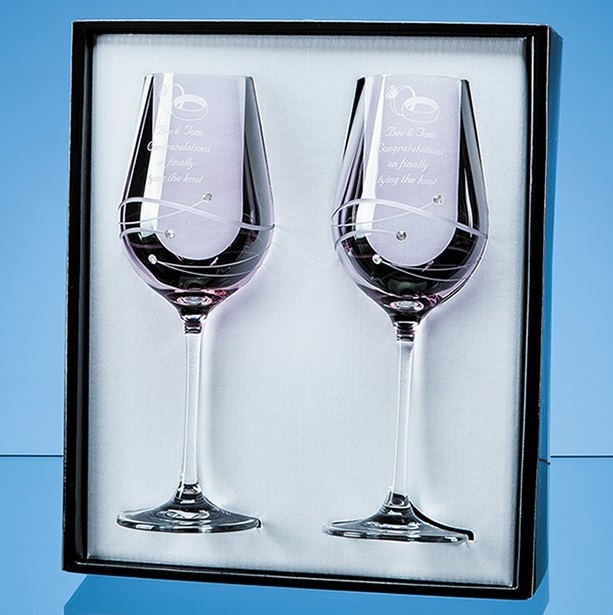 A Pair of Engraved Wine Glasses with Swarovski Crystal detail. The Diamante Crystal wine glasses set would make an ideal engagement, wedding or anniversary gift. The set comprises of two elegant, long stemmed wine glasses with a romantic pink tint, finished beautifully with a delicate spiral cut pattern lightly cut crystal that have 3 Swarovski crystals bonded to the side of the flute.